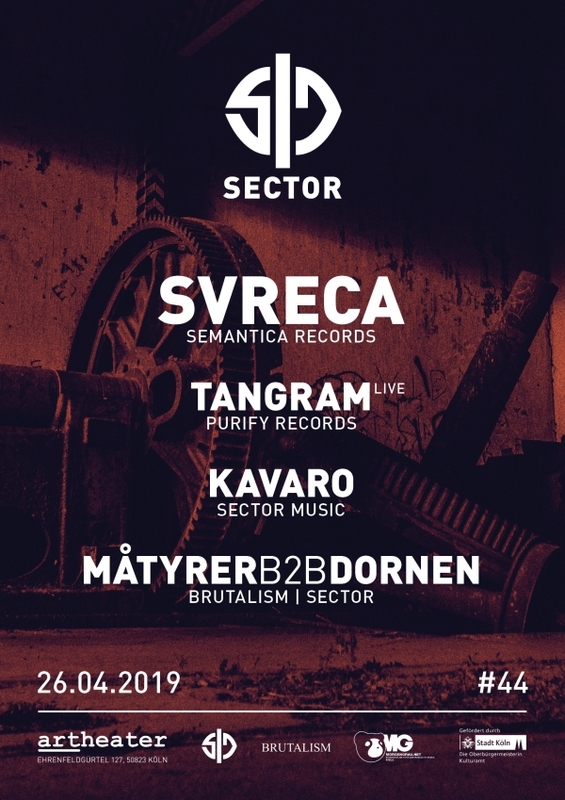 26.04.2019 at Artheater CGN – Sector with Svreca – Head of Semantica Records, tangram – Live (Purify Records), Kavaro and Måtyrer & Dornen. 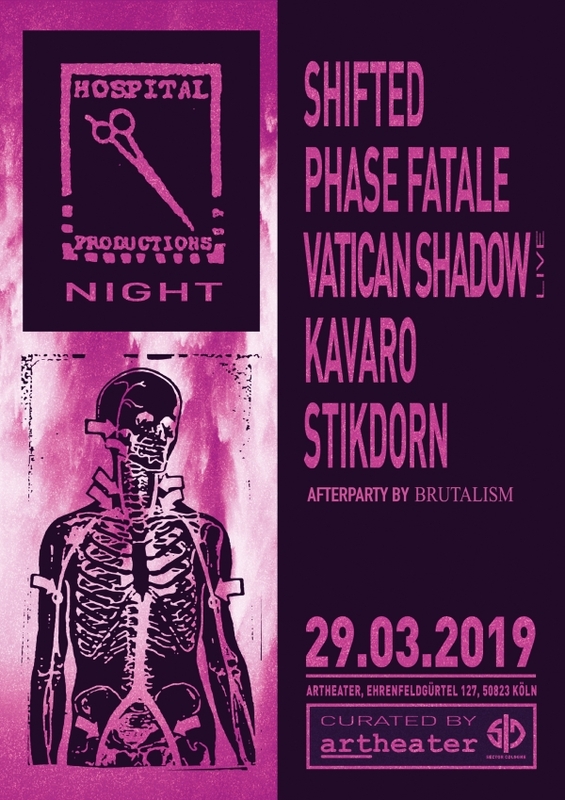 Kavaro’s Closing DJ Set at Hospital Productions 29.03.2019 is now available at soundcloud. 6 Years Sector Cologne – 08.02.2019 Artheater CGN. On February 8th 2019 we celebrate 6 Years Sector Cologne on 3 floors with AnD from Manchester (Electric Deluxe, Inner Surface Music), they will play a 3 hours dj set at the main floor on a Funktion One soundsystem. After 2 years Milton Bradley from Berlin (Do Not Resist The Beat! Alien Rain) is invited again to our anniversary. Also we invited Rezystor from T/W/B / RAW, Jan Keuchen (TagX), Abgewandt (Purest Health), MK Braun (Cologne Sessions) and Lomi (Brutalism). Last but not least all our Sector Residents will play this night including a live set from Dornen. Do not miss, we are looking forward to this special night! 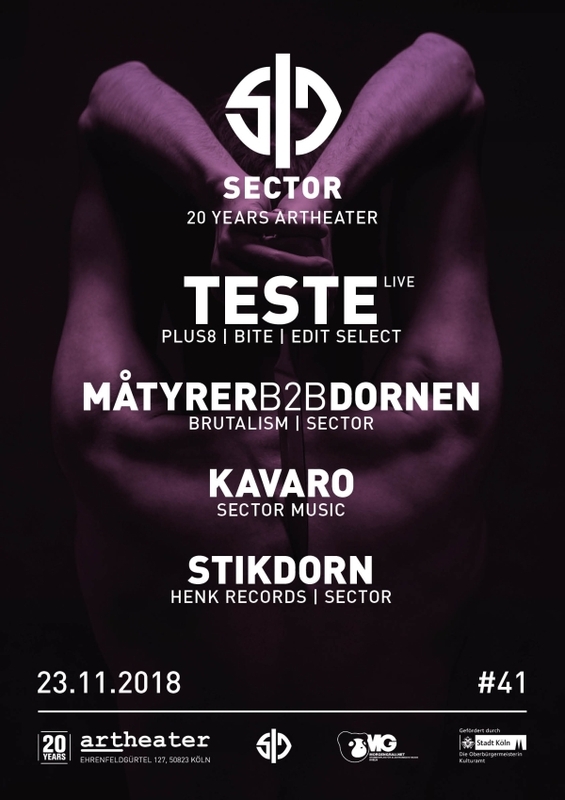 Sector with TESTE – Live 23.11.2018 Artheater CGN. In October and November our homebase Artheater is celebrating 20 Years of his existence. Our contribution to the celebration of the club is a very special Sector Night with the legendary TESTE – Live. Everyone knows the timeless club slammer ‚The Wipe‘ from 1992 on Probe/Plus8 Records. After remixes of ‚The Wipe‘ in 2014/2015 from well-known artists like Rrose, Terence Fixmer, Dino Sabatini or Edit Select actually TESTE released a new record on Phase Fatale’s label ‚BITE‘ – The Box Man. 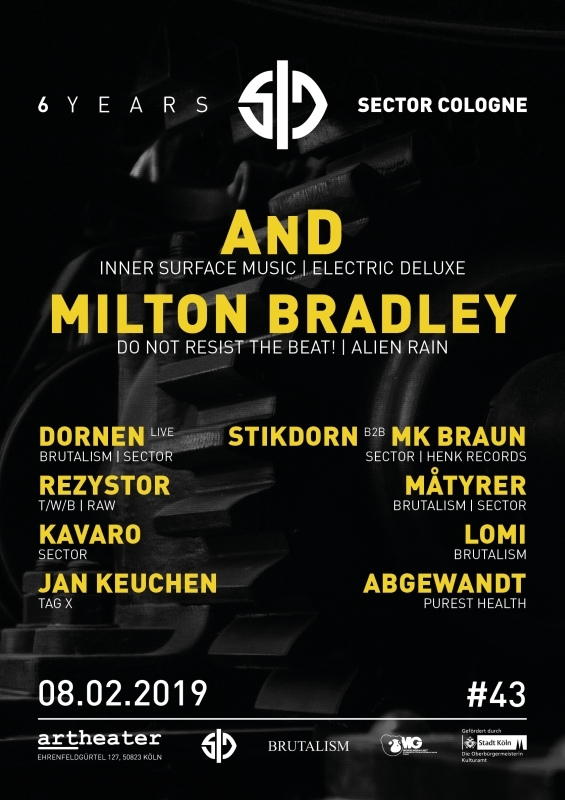 Additionally our new Sector Resident DJs Måtyrer and Dornen will play their ‚official‘ debut at Sector on 23rd November beside Stikdorn and Kavaro.